« The Gallery: The Idea Was to Live in the Past. The last one looks just like WC Fields!!! wonder what his stomach looked like? On a happy note, a friend’s doctor father once told me that alcoholics usually have gorgeous arteries… must be the alcohol thinned blood! 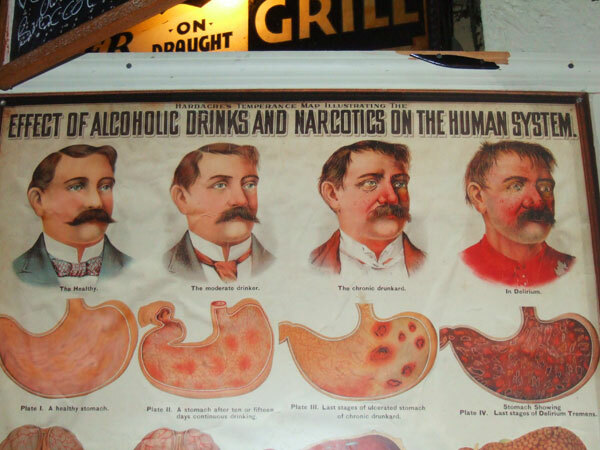 LOL, I love that alcohol abuse is somehow correlated with the inability to brush your hair into a Dapper Dan ‘do! And somehow, you end up in your underwear. I can’t explain it. Hi, Sarah — This is Jim Sweeney. I was the PD reporter who wrote about your CIA project on the four-day restaurant. I stumbled across your blog while searching or the story online. Your story was one of my favorites. Glad to see you’re still pursuing your passion. Best of luck to you. Thank you so much, Jim! That article is fantastic, I treasure it.